These new features are just the first steps in maximizing dynamic map drawing technology to create a faster, more interactive experience where efficiency really matters: mobile devices. For example, we estimate that viewing maps now requires almost 70% less mobile network data overall than before. We can’t wait to take the next steps in making Google Maps faster, more reliable and even more useful no matter where you take it. 3D Maps? Check. Offline caching? Check. Offline rerouting? Check. Wait, did they just say offline rerouting? Jebus how much is that app going to cost me? Oh right, free. Damn that is disruptive, iPhone version please! 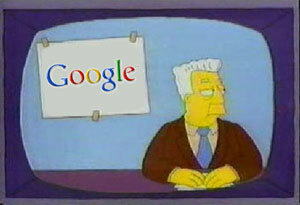 I, for one, welcome our new Google overlords. I’d like to remind them that as a trusted Geo-personality I could be helpful in rounding up others to toil in their underground data sweatshops!